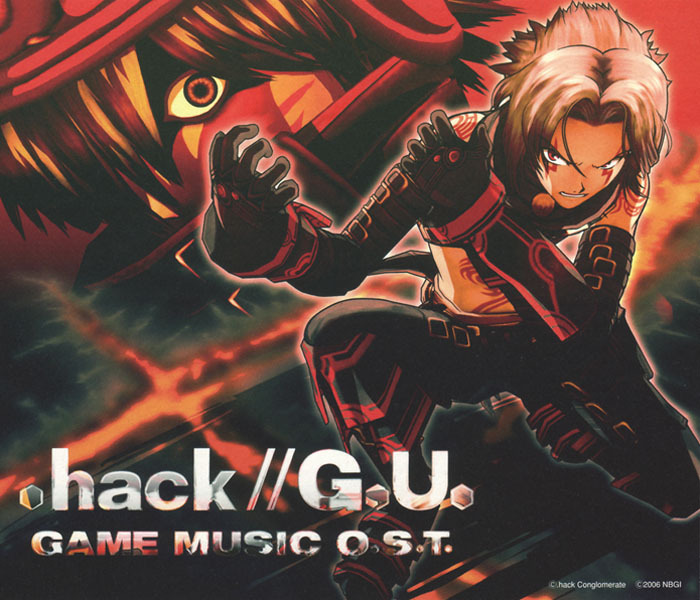 VGMO -Video Game Music Online- » .hack//G.U. Game Music O.S.T. The .hack franchise centers on a massive story occurring within an online game, set in an alternate reality of modern day Earth. Over the course of anime, manga, and game installments, a story spanning seventeen years takes form, and draws you into its spectacular and overwhelmingly convincing world. The level of detail that has gone into its creation is astounding, and you really feel like you’ve living in that alternate reality (and for some people, we probably wish we actually were). However, because of its complexity, jumping into .hack head first probably isn’t a good idea. Instead, let me gradually introduce you to the .hack world. First up, the basics! The .hack franchise primarily takes place within “The World,” an MMORPG like Guild Wars, World of Warcraft, or the dozen other online RPGs you can find at your local game store. Throughout the series, we take a third person view of the action: In the anime and manga installments, we watch the progress of the characters like any other TV show or movie. The game installments get a bit trickier; we take control of the game’s main character, which represents the character being played by a real person in the .hack universe’s real world. We guide that character through “The World,” as if we were controlling our own character in an MMORPG — except in this case, the game (meaning the game installment) is completely offline. Thoroughly confused? Great! Moving on! This is the first of a series of reviews looking at the soundtracks for the game installments of the .hack franchise. Over the course of these reviews, it’s a good idea to keep in mind that I will be referring back and forth to tracks that aren’t necessarily on the album I’m currently reviewing. Don’t panic! There is a method to my madness. At first glance, the .hack albums aren’t particularly impressive, but then again, few game soundtracks are. This is mostly because many of these tracks require the proper context to really capture the emotion or intent of the composer’s vision. But not to worry! I’ll be giving you the context for almost every track I mention, and at the same time, introduce you to the inner workings of “The World” and its players. 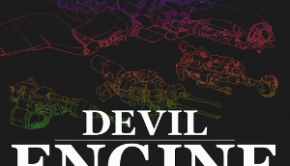 That being said, I’ll warn you now: Expect spoilers. I simply can’t do a justified review of these albums without looking at the story of this franchise. Although I won’t give a timeline of the franchise as a whole (take a look on the forum if you’re interested in a .hack crash course), I will be referring heavily to the game installments. Now, time to introduce you to this particular album. This album features music from the first game of the G.U story arc, .hack//G.U. Vol. 1 Rebirth. The album also features tracks which are seen across all games in the G.U. series, which are only found on this album. The game takes place in 2017 (in the .hack timeline), and follows the trials and tribulations of Haseo, an adept black rogue character with a…. somewhat cataclysmic past. More on him later. This game picks up directly where the .hack//Roots anime storyline breaks off, with a little bit of overlap at the beginning to introduce you to the current events. “The World” (seen in the previous installments of the .hack franchise) no longer exists. Beginning in the timeline with Roots, “The World: R2” is the new version of the game, but is really only a glimmer of what the original game was (for the purposes of this review, I’ll be calling it ‘The World’ in single quotations). Plagued by PKers (‘player killers’ who reap fun from killing other players in the game) and other significant problems like bugs, server problems, and graphic issues, the world once controlled by Aura has entered a somewhat dark age. With a new threat on the horizon, is the third network crisis an inevitable event? Let’s see if the music offers any clues. When I began putting together this review, I tried to think of the perfect way to start it off. Of course, the answer presented itself immediately. “Welcome to The World” is presented in the first of four styles that are seen throughout the .hack albums. The track features a solo vocalist accompanied by a piano before branching into further orchestration with strings. The language of all the .hack vocal tracks is a unique blend of German, Japanese, and other minor European languages, further suggesting a connection between the “The World” and its creators, Emma Weilant and Harold Hoerwick, both of German decent. The decorative piano, combined with the operatic vocal selections, blend together to create a very atmospheric and emotional piece. This piece plays in the game when Haseo is first creating his character and logging in for the very first time. It occurs to me now that the suggestive sadness given off by this piece goes far deeper than I originally thought: “The World” is truly a game of fate. All players who become integrated into the underworld of its systems are forever affected by it, and are in some cases scared for life. 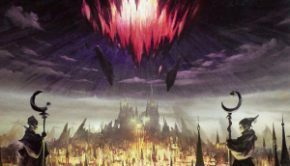 After defying the will of the AI Morganna, Sora (a player killer) was sent into a coma in the real world, while his consciousness remained imprisoned within the staff of Skeith, one of the eight phases created by Harold to feed information to the Ultimate AI, Aura. After he was freed from his prison by Kite, he awoke in the real world with his memory erased of his entire time as a player of “The World.” And now, five years later, he logs in as Haseo and is completely unaware of his own history within the game. “Dawn Flight ~Opening Loop Demo~” introduces us to the game properly during the opening cinematic. The harmonized vocals are back, providing a smooth and flowing melody to the driving orchestral arrangement of strings and percussion. This track offers the second style that is seen multiple times on these albums: multiple vocal lines creating an intricate complex web of melodies, presented in the style of small choral ensembles. The progression of this track, from airy and light to full and heavy, mirrors the appearance of AIDA (Artifical Intelligence Data Anomaly) in “The World.” These natural AIs formed within the game became corrupt, and began to infect its systems, and even the players themselves, mimicking Morganna and sending players into comas, a condition referred to as Doll Syndrome. Taking a short break from the workings of “The World,” let’s look at some of the tracks which you’ll hear while playing the game itself. First up are the battle tracks. “Battle,” your main battle theme in the game, introduces the techno style, the third of the four styles that are seen in the series. Heavy techno progression drives the track, while metal guitars and percussion round out the overall sound. Sweeping flutes and strings provide a melody, while Asian instruments offer decorative ornamentation. Synthesized vocal and acoustic guitar offer a stunning contrast in the middle section of this track, while keeping the fast pace full of energy. “Boss Battle,” your main boss theme, offers the same instrument set, replacing the flute with a shenai, and the metal guitars with light brass through French horns and trombones. The middle section of this track though presents something quite different, combining harp with tubular bells, supported by synthesized strings, brass, and vocals, which creates a sound that matches the tone of the rest of the album. “Abyss Quest Battle” takes you up against Cernunnos, a monstrous demonic foe that is the focus of a special event created by the system administrators of “The World.” This track features heavy piano, supported by a full brass ensemble, with light strings filling out the lower range. A strong snare drum provides a beat, while cymbals offer an occasional burst of energy. The middle portion of this track (you’ll notice that almost every battle theme has a ‘middle portion’ to it) slows down and features the piano more prominently, and also brings in a low cello for a very epic sounding track. Next, let’s look at some of the places you can visit in “The World.” Every location in the game is referred to as a ‘Field,’ and can be accessed by combining a set of three keywords at a warp point called a Chaos Gate. Traditionally, these Fields offer the same set of rewards, presented through different challenges and an array of colorful dungeons. However, more central to the focus of this review, I want to look at the Lost Grounds. These are Fields which have existed since the very first version of the game, which was created by Harold and called “Fragment.” These Fields are unique, in that the system administrators have no control over them. They are unable to edit the data of these areas in any way, which makes them extremely significant within the .hack franchise. The Hulle Granz Cathedral is probably the most well known of all the Lost Grounds. This Field comprises of a single bridge leading to a church, suspended on a rocky island in the middle of a now empty and barren lake. This church belongs to Aura, the Ultimate AI created by Harold. It has a long history of being a sanctuary for the characters in the .hack franchise, including a refuge for Tsukasa (a girl who became a puppet of Morganna), a crime scene for Shino (Haseo’s lost love at the hands of Ovan), and, at one point in time, the location of a statue depicting Aura chained to the wall by eight chains representing the phases. The track “Hulle Granz Cathedral” features a prominent vocal telling the story of the Epitaph of Twilight, while accompanied by a single harp. The “Arce Kloen Falls” is a Lost Ground significant to the Twilight Brigade, a small guild controlled by Ovan and Shino, to which Haseo joins. The track offers strong percussion and repetitive plucked instruments, in addition to strong lower range synth and upper range vocals. The “Morrigu Barrow Wall” is a Lost Ground which connects “The World” to what can only be called the White World (or rather, a physical landscape of a data world). Many times in the game the characters enter the White World (a seemingly endless expanse of white with sparse areas of interest, such as a small library, a bedroom, or a set of lockers). The wall is speculated to be a prison wall, keeping the two areas apart. The track features a full range choir, very low strings, French horns, and kaitos to provide a beat. The harmonies of the choir in this track really offer a sense of ‘unknowing’ to the location. Finally, the “Dead World of Indieglut Lugh” is a Lost Ground which is significant to Endrance. A massive underground lake with a giant tree at its center, this is where Endrance is first found. Later, he imprisons himself in a block of ice under the water’s surface. The track begins with decorative bells and powerful choir before being joined by strings, and escalating in volume towards the end of the track. One of the shorter Lost Ground themes, this track is still powerful because of the rich tones of the vocal work. “I’m Right Here (Skeith)” is the theme for the first phase, Skeith – The Terror of Death. Skeith is the avatar of Haseo, once again bringing the phase and the player together, just like when Sora (now Haseo) was first imprisoned within the phase’s staff; it’s no coincidence that Haseo becomes known as the “terror of death” as a player killer killer. 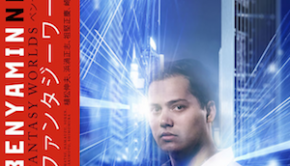 The track is very similar to the battle theme of the game, except that the instrumentation has become stronger. A significant change is the middle section of the track which now features an epic vocal performance instead of synthesized vocals. This is also the only phase theme which does not play during a battle against a phase – it occurs instead when Haseo summons the avatar for the first time, and every time after that. “Location of Power (Tarvos)” is the theme for the seventh phase, Tarvos – The Avenger. Tarvos is the avatar of Pi, a very significant factor in that this was the first phase to be rebuilt. One of the leaders of the project to rebuild the phases, Jun Bansyoya hid this phase on his personal computer, and gave it to his sister after the resulting destruction. It introduces the fourth and final style found on the album – the chromatic bells. A battle theme spawned by an AIDA infection, the track begins with strong upper range vocals, and a bell/piano ‘waterfall’ motif. Fast techno brings the track up to speed, while strings provide a smooth underlying melody. The tubular bell motif is the signature of all the .hack recordings, in that it appears exclusively within phase battle themes. Many people are turned off by the repetitiveness of the motif, but I think it’s an excellent way of a chaotic digital world together with what that data creates as a visual. “Two People’s Differences (Magus)” is the theme for the third phase, Magus – The Propagation. Magus is the avatar of Kuhn, another previous player of “The World.” When Morganna sent the phases to capture Aura, many players fell victim to the actions of the phases, and went into comas. Kuhn (under the name Seig) was one of these players, but was released from his coma when Aura was reborn. During the phase test, Kuhn’s player was the only one to survive. The track begins with a clearer presentation of the bell motif before moving into slower techno, with sweeping strings and airy vocals. The beat of this track is deliberate, and the heavy bass emphasizes it well. This track occurs when Kuhn tries to reason with Haseo about the consequences of using his avatar. Haseo doesn’t listen, and the two end up fighting one another in avatar form. “‘She’ (Macha)” is the theme for the sixth phase, Macha – The Temptress. Macha is the avatar of Endrance, and is one of the most important phases with the longest history. When Morganna brought Tsukasa into “The World” and trapped her there (by sending her into a coma), Macha served as a means of communication between Tsukasa and Morganna, who she saw as the disembodied voice of her dead mother. After being sent to destroy Tsukasa, Macha sacrificed herself, and her data was scattered throughout “The World” in blades of aromatic grass. Her data eventually rebuilt itself into what resembled a player character named Mia, who became good friends with a player named Elk. After discovering that she had no memories outside of “The World” and that she in fact didn’t really exist, Morganna took control and made her attack Kite and Elk. After the fight, Macha’s data once again was scattered. After the failure of the phase test, Macha attached herself to the player character Endrance, while an AIDA took the form of a purple cat who sat on his shoulder. Endrance affectionately called the cat Mia until Haseo destroyed it, but the phase still remains with the player who once was Elk. This track is unique, in that it’s the one phase battle track that features an extensive melodic pattern. The tubular bell motif is doubled with organ to provide a backbone for the sweeping strings and vocals. The techno elements in this piece are substantially low when compared to the other phase tracks, and are centered towards the bass lines and the beat. Additionally, this track mimics the melodic style heard in the track “Phase No. 6 Macha” from the .hack//Game Music OST album. Finally, “Everything is in These Hands” presents a final boss battle track against Tri-Edge, and his avatar The Azure Flame God. Although this avatar is not a phase, and is not found within the Epitaph, it receives the same treatment as the phase themes because of its origin. Tri-Edge is a computer program created to track down and eliminate errors within “The World,” similar to how Kite, Balmung, and Orca tracked down data bugs and eliminated them using the Twilight Bracelet. Taking on a zombified physical form of Kite, he takes a third Azure title belonging to the trio: Balmung of the Azure Sky, Orca of the Azure Sea, Kite of the Azure Flame. The track is similar in sound to the phase themes, except for the substantial lack of a full range of sound. Heavy techno provides the lower range, while high strings and synth provide a flowing melodic segment. A harp and flute combo (followed by a string ensemble) cut through in the middle of the track to rephrase Atoli’s theme. That brings me to the vocal themes. Both the Japanese and English versions of “Yasashii Ryoute” (also known as Gentle Hands) appear on this album. This piece is basically a vocal arrangement of Shino’s theme, one of the recurring themes throughout the album. Although a pop performance, the track is created using all of the same sounds heard on the rest of the album, which gives the track an interesting quality. Strong piano supports the vocalist (who by now you’ve come to know from all of the vocal work on the album), who is singing in lyrics that can actually be understood, while strings and a heavy beat provide a powerful background. I prefer the Japanese version of the track, simply because the vocalist isn’t horribly strong with English, but both versions are equally fun to listen to. The placement of this track in the game is also very powerful: after the ending cinematic the screen goes black, followed by a crack on the screen (resembling a computer or TV screen breaking). Haseo then shouts Atoli’s name extremely loud, and this piece comes in just as his voice finishes its fade out. Very powerful. 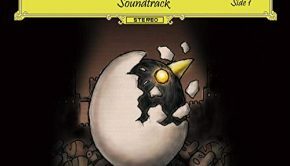 In addition to the location and phase themes, this album features two very heavy choir vocal performances which mimic the style seen in “Hidden Forbidden Holy Ground” from the .hack//Game Music OST album. “The Epitaph is Told” brings a quartet of voices (two men, two women) to perform the track in choral fashion with interconnecting melodies. The echo on this track increases the overall tone, and really gives the impression of it being preformed in a large venue, very similar to the Lost Ground themes. The lyrics, although jumbled, are clear and prominent, and further enhance the overall style of the track. Similarly, “Preparations for Loss” provides the same type of piece, instead with only female voices. Low strings compliment the second half of this track, creating a very full and epic sounding experience accented with occasional, single note tubular bells. I’d like to end this review with a solo piano piece. “Swaying Emotions” is a piano arrangement of Aura’s theme, Atoli’s theme, and Shino’s theme mixed together. This new arrangement is very well put together, bringing a strong melody without being over powering, and similar in style to Yoko Shimomura’s Kingdom Hearts work. The end of this piece does a breathtaking job at bringing all three themes together for a spectacular finish. Overall, I love this album. The style of the pieces and the presentation of the vocal performances really make the .hack series unique as far as music is concerned. The strong points of this album are definitely the pieces centered towards the story, history, and characters of the game, while the pieces tied to playing the game fall a bit flat. I also find that while listening to these strong tracks without a context is stimulating and exciting, listening to them with a context in mind really creates a chance to hear the tracks over and over again, while remembering where they were used, or what they were connected to. I’d definitely recommend this album to any .hack fan, and to anyone looking for something a bit different from their traditional game OST. Want to know what happens next? Check out the next installment of this review series with my review of the .hack//G.U. Game Music O.S.T. 2 album. Posted on August 1, 2012 by Andre Marentette. Last modified on January 18, 2016.